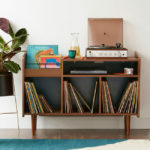 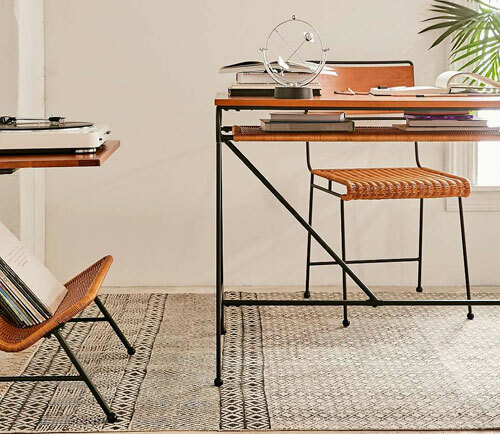 Not sure it would be the first place to look when kitting out a home office, but Urban Outfitters is the place to find this Ryerson desk and chair. 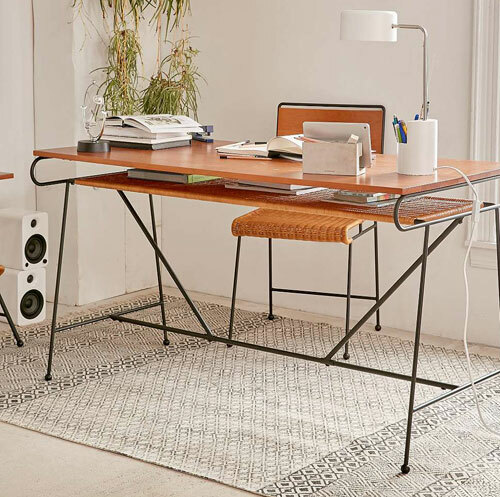 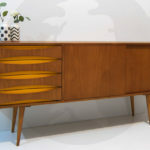 Perfect for a midcentury-inspired setting, this is an unusual design, with the desk mixing wood, metal and unusually, rattan too. 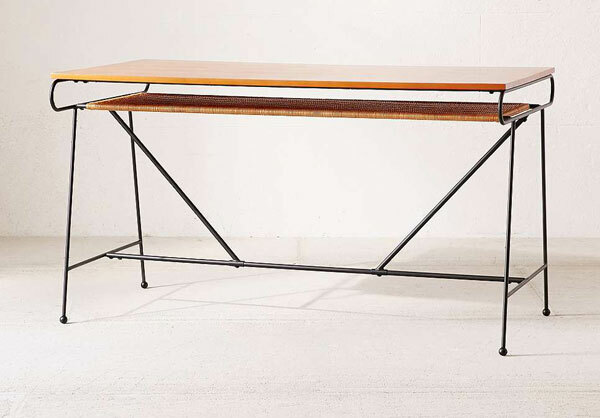 The metal frame is minimal, the wood surface sizeable and the rattan used for storage underneath that desk surface. 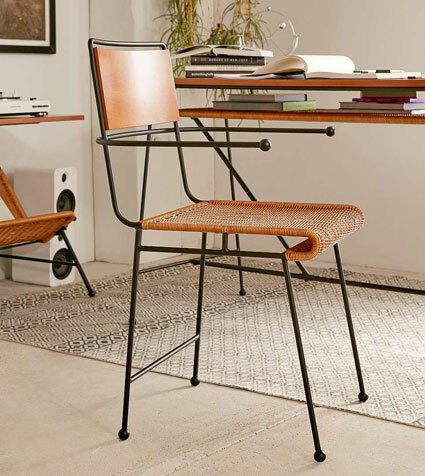 The chair matches up too, with a metal frame, wood back and rattan seating. 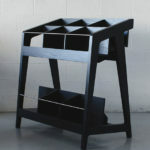 Both are online now and exclusive to the retailer, with the chair selling for £250 and the desk yours for £400.